The Boys and Girls Club of America Want Your Kids to Be #CyberSafe! Did you know June is Internet Safety Month? It is more important than ever for parents to have a good knowledge of the internet, their kids’ use of the internet and how to keep them safe. Even if you have no desire to ever be on “The Twitter” (as Betty White calls it – love her) or Facebook – most likely your kids are. What are they saying? Who are they talking to? What kinds of information is out there about them? What kinds of information are they telling Cyber Space about themselves? Parents should know the answers to these questions. 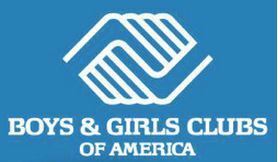 The Boys and Girls Club of America has created a website full of helpful and educational information. Parents can visit CyberSafeFutures.org and get educated on cyberbullying, online privacy, social networking and gain some mobile smarts. The BGCA encourages parents to have open conversations about online safety with their kids. It’s important. Very important. We have two teenagers who are very active online. Before they set up their accounts, we set a few basic rules. Rules such as they had to be our “friends”, we needed to know their account names, they had to ask permission before they signed up for a new social network and that we would be checking these regularly. We also went over what they were allowed to share online and what they weren’t. It wasn’t an issue for them and so far so good. I actually think we have it pretty easy when it comes to this, especially after I’ve seen what some of their friends post and what they tell me their parents don’t know. For example: accounts they have, who they are chatting with online, etc. It actually terrifies me. A lot. If you’re a parent of a tween or teen who is online and you just don’t know where to start. Let me help. First, start by taking this Cyber Survivor Challenge Quiz and see how you’re doing when it comes to your kids and the internet. I took the quiz and was ranked a Cyber Survivor. I’m online a lot. It’s what I do for a living. Nine times out of ten, I know about new social networks before my kids do. (Which annoys the heck out of them.) I also work with teens weekly, so I’m in tune with where they’re spending their time online. But, I know parents have a limited amount of time to do research and find out what’s going on online and where their kids are spending their time. Second, visit the CyberSafeFutures.org website and watch the videos and get educated. Learn about Cyberbullying, tips on your kids’ cell phone use, social networks and more. They have a ton of resources out there. The time you spend educating yourself is time well spent. I’m sure you’ve heard stories about teens meeting people online and then meeting them in person. It does not turn out well. Or the teen who was bullied online and no one knew until it was too late. These stories are happening to our youth and like I said, it’s terrifying! Third, sit down with your kids and talk. If you don’t have the best relationship with your child, this step can be awkward. Heck, even if you do you’ll probably get a few eyerolls and “why are we talking about this?” from them. That’s okay. Talk to them anyway. You can even make it a casual conversation to start out with and say “Hey, you know how ignorant I am about social networks right? What are the latest ones? Do you even use Facebook anymore? I heard that’s so yesterday.” Be a dork. Make it a light conversation and just open a door that could lead to one great conversation. I absolutely have a love/hate relationship when it comes to social networks. I get sucked in sometimes for too long. I see my adult friends use it in ways I just don’t get. And then I see how teens use it and I just shake my head. But social networks are here to stay. They’re apart of our American culture and the culture of our kids know. So, I try to look at the positive side of it and encourage my kids to use their social networking sites in a positive way. What do I mean? Well, as a parent, I’ve gone to one of kids’ accounts before and saw that they had a really, really bad day. Why didn’t they tell me this when I picked them up from school? Who knows. Teenagers aren’t always the best communicators. Shocking info I just threw at you, I know. After reading that my daughter’s day was horrible, I went in her room and said “Hey, I saw on Twitter you had a rotten day. Want to talk about it?” And we did. It sometimes helps me stay in tune with what’s going on in their lives and it opens the door wide open to great conversations. I also encourage my kids to reach out to their friends online who they see are having a bad day, had a fight with their parents and just seem really, really low. A teen doesn’t post “I hate my life” and hope that someone doesn’t notice. This is their cry for help. This is them telling the world “I need someone to talk to.” My kids have been able to be there for their friends and give them a pick me up by things they’ve seen them post. I love that. I also get to see my kids’ humor, who their interacting with, what’s inspiring them, their favorite music and on and on and on. When used correctly, social networks can be a place for parents to find out all kinds of things about their kids. Good things. Now let me open the conversation to you. 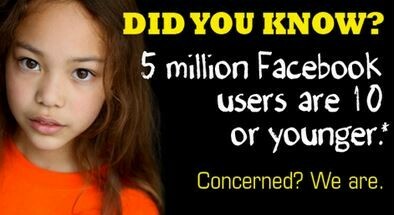 Do social networks, cell phones and the internet in general terrify you when it comes to your kids and their use of it? Why? Why not? Does it overwhelm you to think about keeping up with their accounts? Sound off in the comments section below.